George McCabe joined Harren as a Managing Director in 2015. He is responsible for initiating and maintaining the firm’s transaction origination relationships with operating executives and their advisors, particularly the investment banking community. George serves on the Board of Harren portfolio company Shrimp Basket, Inc., a 31 unit seafood-focused restaurant chain based in the southeast. 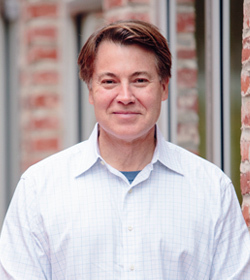 Prior to joining Harren, George was a General Partner and Co-founder of Pine Creek Partners, Washington, D.C. Pine Creek managed a $50 million proprietary investment fund providing late stage and buyout capital to small and lower middle market businesses, primarily in the southeast region of the United States. In 2013, he successfully closed an independent sponsor transaction investing in a manufacturer of building materials and packaging supplies that operates three plants in the southeast. Before launching Pine Creek in 2005, George was a General Partner and oversaw several multi-stage private equity funds affiliated with Freidman Billings Ramsey (NYSE:FBR), Washington, D.C. In total, he managed approximately $120 million dollars invested in growth equity and buyout transactions on behalf of institutional investors. George began his corporate finance career in New York as part of the Investment Banking Group at Donaldson, Lufkin & Jenrette (now Credit Suisse), providing advisory services to clients in mergers, acquisitions, and issuances of debt and equity securities. George’s twenty year private equity career has involved board service and operational project management on behalf of twenty-two portfolio companies. He is a proponent of finite project management plans and has deployed this approach to achieve goals in the areas of materials sourcing, product development, executive recruitment, sales planning, ERP selection and implementation, incentive compensation plans, and customer surveys. He is the founder and former President of the University of Virginia T100, an organization of 100 alumni that support intellectual property commercialization initiatives at the University. He served on the Board and as Treasurer of the Jamestown-Yorktown Foundation and was a Vestry member and former Stewardship Chair of Christ Church Georgetown. George is a graduate of Leadership Washington and is a member of the Southern 7 chapter of the Young Presidents Organization. Originally from Richmond, Virginia, George graduated with a B.S. from the University of Virginia. George enjoys traveling with his two children, wing shooting, fly fishing, and any outdoor activity involving a mountain.